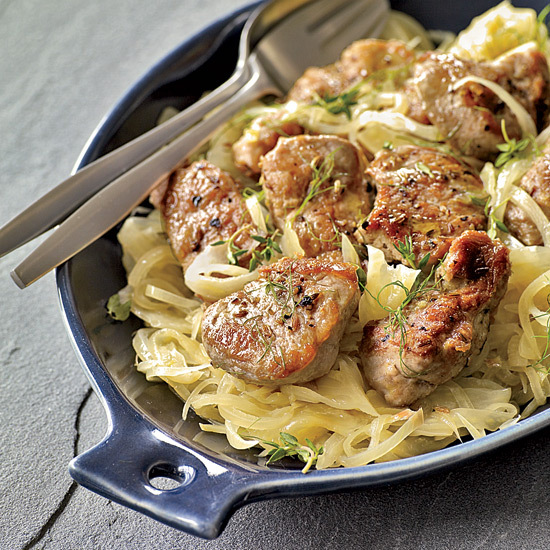 These tasty pork recipes, including fennel-braised tenderloin and pork souvlaki, are all ready in 30 minutes or less. 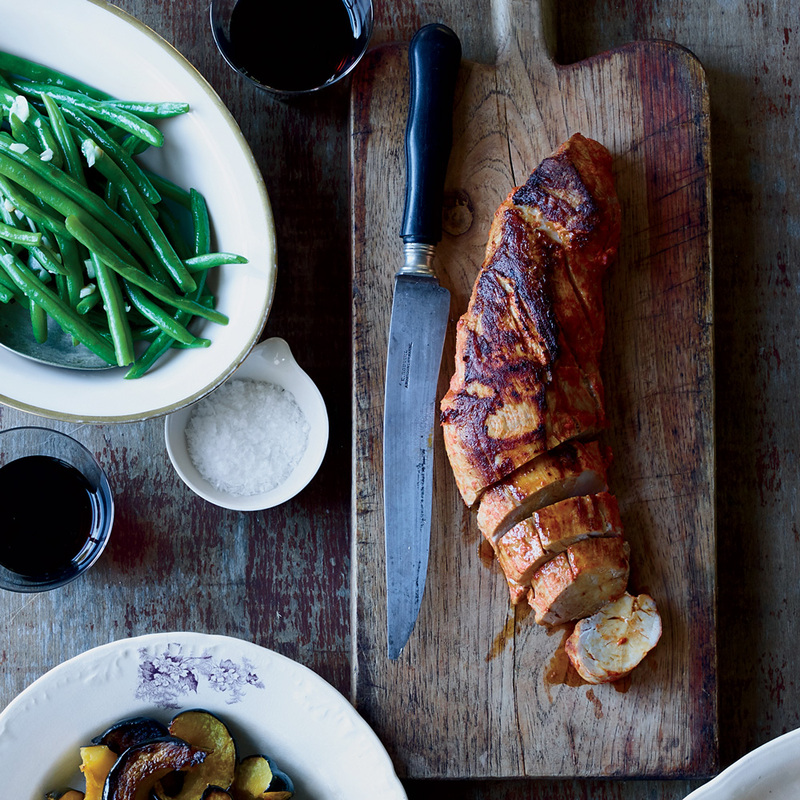 In this supersimple recipe from cookbook author Julia Turshen, pork tenderloin gets rubbed with paprika and mustard before browning and roasting. 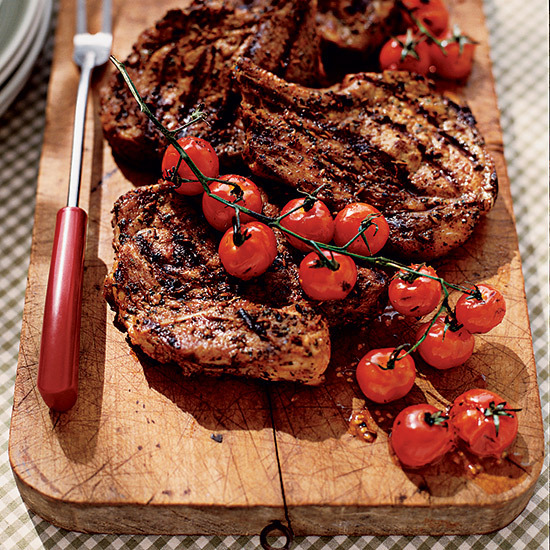 One secret is to let the chops marinate at room temperature for 30 minutes, which yields juicier meat after grilling. 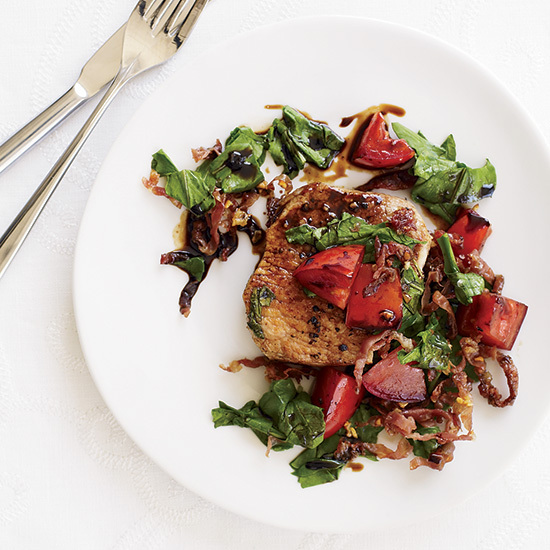 Cookbook author Nancy Verde Barr created this winning combination of pork with prosciutto, arugula and balsamic vinegar. "My mother and I go foraging for elderflowers for two days each May," says Trina Hahnemann. 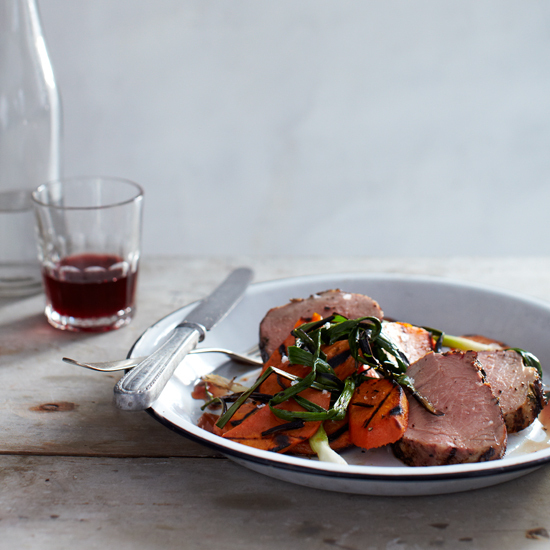 They pick enough flowers to make cordial to drink throughout the year and then use in dishes like this pork tenderloin quickly braised with fennel. Anyone not living near a Nordic meadow can substitute St-Germain elderflower cordial for the homemade kind. 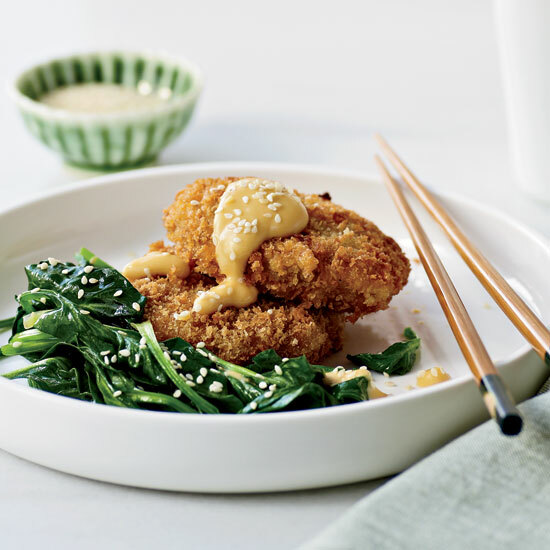 Inspired by a Korean-cooking YouTube channel called Maangchi's Cooking Show, Grace combines pork and kimchi in panko-coated cakes and serves them with an umami-rich soy-sesame mayonnaise. The patties make great burgers, especially with bread-and-butter pickles. 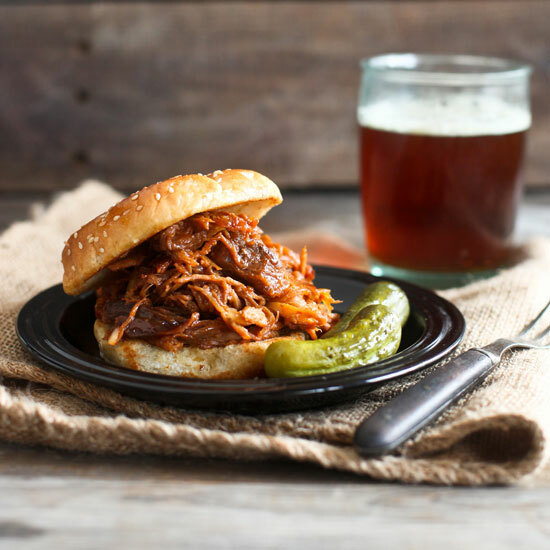 Grace Parisi opts for pork shoulder because it's so tender and succulent. 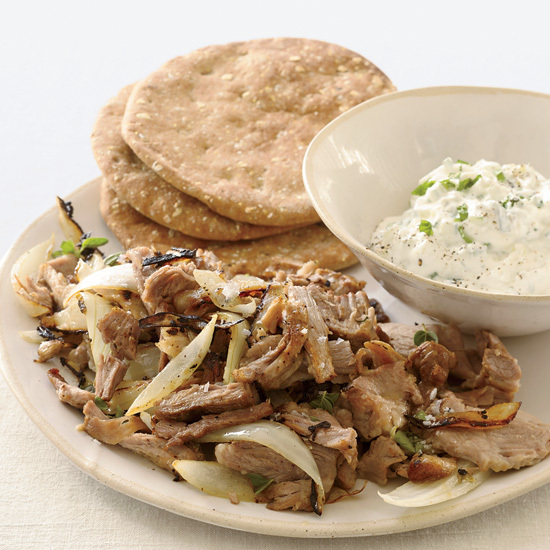 Instead of threading the meat onto skewers, she simply cooks it (with onions) in a grill pan until it's nicely charred, then serves it with store-bought pita and a garlicky cucumber-yogurt sauce called tzatziki. 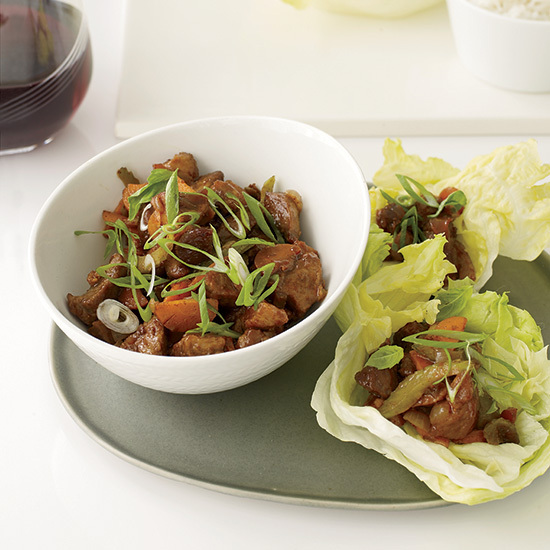 Since pork tenderloinis low in fat, it tends to dry out, so be careful not to overcook it—this recipe needs just 20 minutes in the oven. 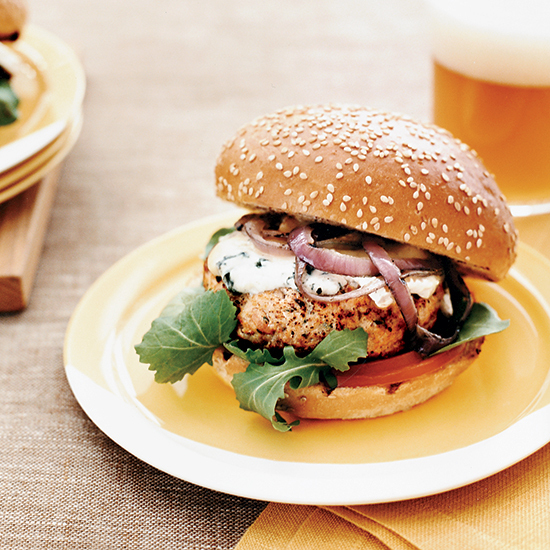 Melissa Rubel serves a stellar honey mustard alongside it to add moistness and sweet-spicy flavor. In Louisiana, a po'boy is a soft baguette filled with either fried seafood or meat. 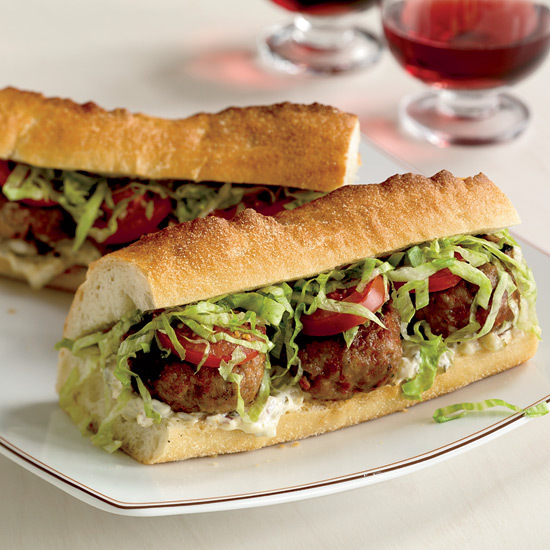 Melissa Rubel makes her po'boys with juicy grilled pork patties, topped with lettuce, tomato and a crunchy-creamy pickle-and-shallot mayonnaise. 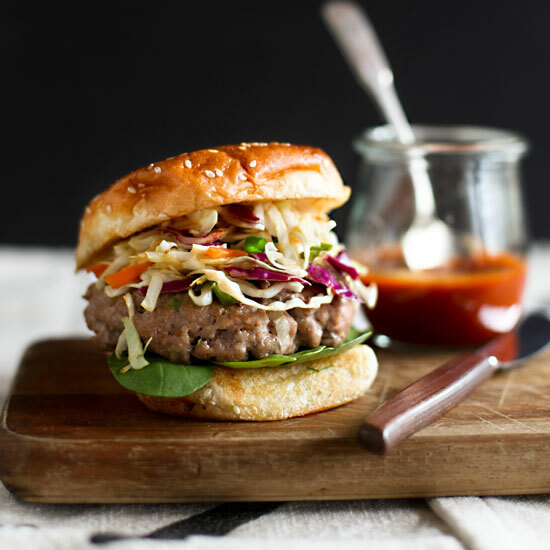 Melissa Rubel adds scallions, fresh ginger, garlic and sesame oil to ground pork for a juicy Asian-flavored burger. Melissa Rubel seasons chunks of tender, succulent pork shoulder with Chinese five-spice powder (a mixture of cinnamon, fennel seeds, cloves, star anise and Szechuan peppercorns), which is a fast way to add Asian flavor. 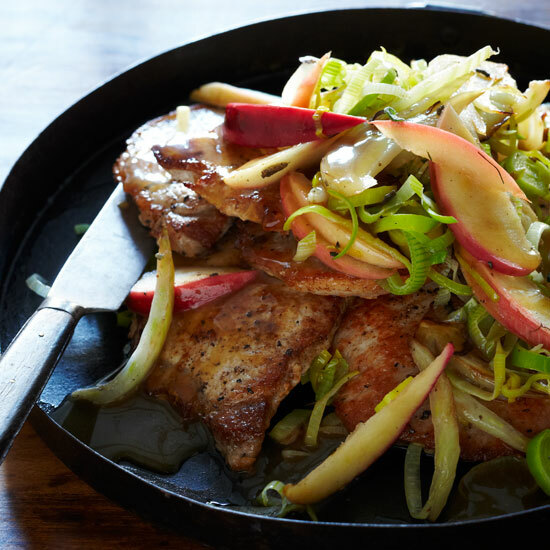 For this recipe, chef Ron Shewchuk suggests cooking the cumin-crusted pork steaks until they're firm before turning them so that they won't stick to the grate. Wolfgang Puck makes his schnitzel by deep-frying cutlets of Kurobuta pork, a deeply marbled heritage meat imported from Japan. 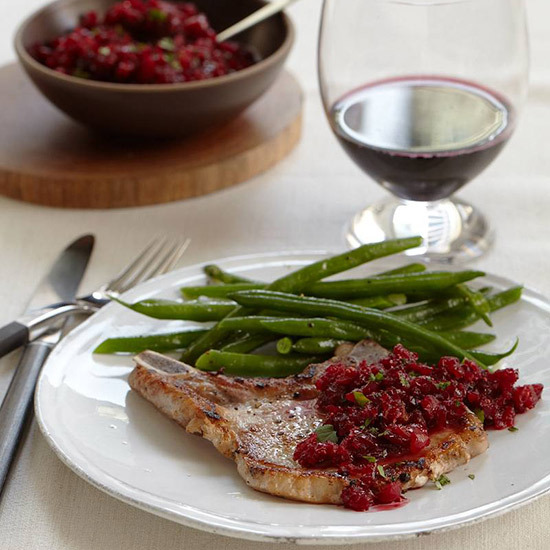 To simplify the recipe, opt for boneless pork chops from the supermarket, pounding them tender. 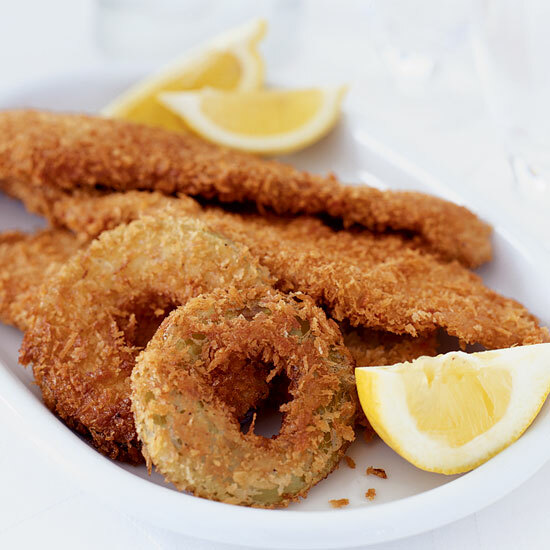 Pan-fry the schnitzel in a shallow pool of oil instead of deep-frying it. 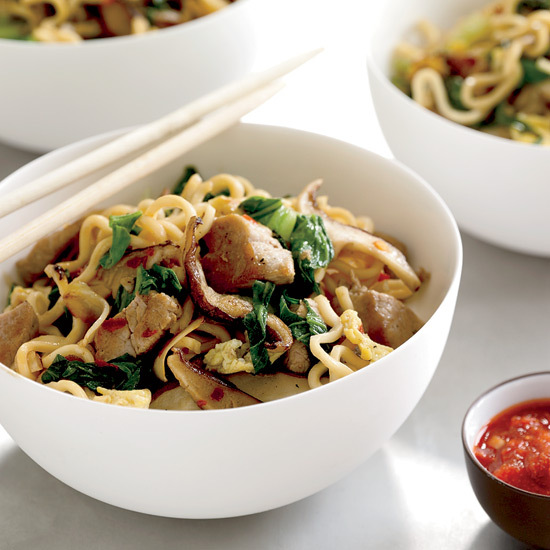 This stir-fry calls for succulent pork tenderloin, shiitake, bok choy and chewy noodles—either Japanese curly noodles (available in the international aisle of supermarkets) or instant ramen. 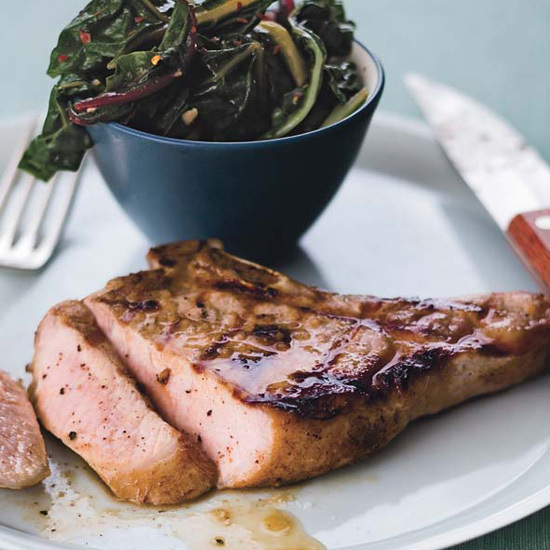 Boneless, thin-cut pork chops can be fully cooked in three minutes, a fraction of the time it takes to cook thicker chops. Here, F&W’s Melissa Rubel Jacobson combines the meat with a few distinctly autumnal ingredients: sage, apple and hard cider. This sweet and tangy sauce is lightly spicy from serrano chiles, and super easy to make. Most restaurants make pork fried rice with generic pieces of barbecued meat; Andrew Carmellini uses both seared ground pork and sweet, aromatic Chinese sausage in his playful version. As an alternative to Chinese sausage—which is now available at many Costco stores—substitute thick matchsticks of lean maple-cured bacon. Sang Yoon first learned the benefits of making burgers with more than one kind of meat when he tried a beef-pork patty at a little corner stand in Atlanta. 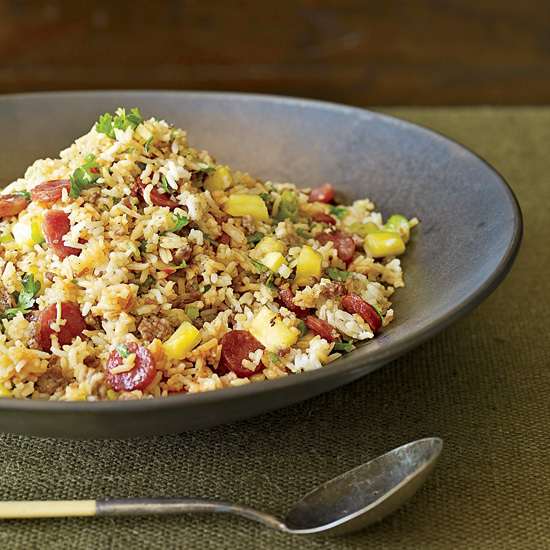 For his impressive version, he uses chopped smoky bacon to enrich ground pork. Just before the burgers are done, he tops them with Camembert (for creaminess) and Gorgonzola (for more creaminess, as well as pungency). 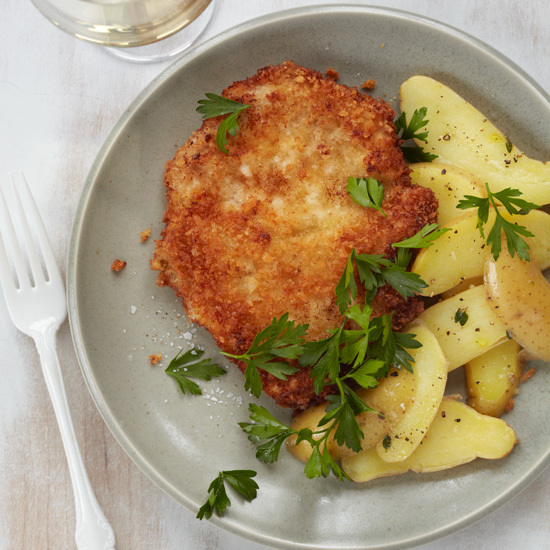 Juicy, crispy pork schnitzel usually leaves us wanting more fried goodness. Here, that craving is satisfied with an accompaniment of sweet, tender fried apple rings. Cook a whole meal—meat, potatoes, and a vegetable—on the grill. 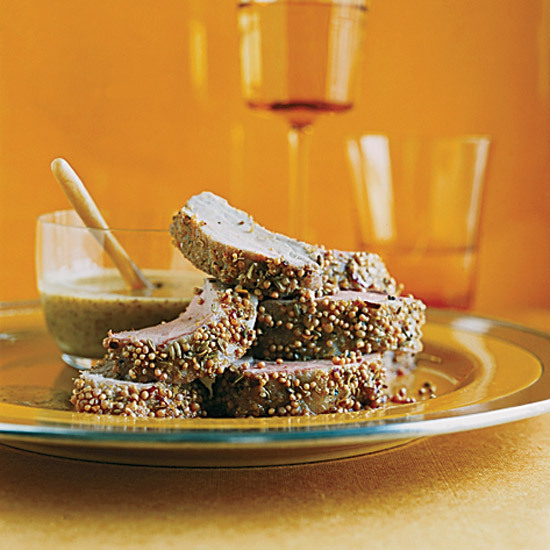 The pork tenderloin is coated in a sweet-and-spicy paste that's similar to Jamaican jerk marinade. Scallions, not often served as a cooked vegetable, deserve to be used as more than a raw garnish.